After an exhaustive and rigorous scientific review, FDA has concluded that the genetically modified salmon, AquAdvantage salmon, is as safe to eat as any non-genetically engineered Atlantic salmon (Salmo salar), and also as nutritious. FDA claims to have rigorously evaluated the extensive data submitted by the manufacturer, AquaBounty Technologies, and other peer-reviewed data, to assess whether AquAdvantage salmon met the criteria for approval; namely, safety and effectiveness. 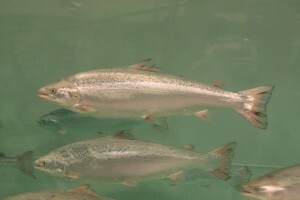 The data demonstrated that the inserted genes remained stable over several generations of fish, that food from the GE salmon is safe to eat by humans and animals, that the genetic engineering is safe for the fish, and the salmon meets the sponsor’s claim about faster growth. FDA also assessed the environmental impacts and found that the approval would not have a significant impact on the environment of the United States. That’s because the multiple containment measures the company will use in the land-based facilities in Panama and Canada make it extremely unlikely that the fish could escape and establish themselves in the wild. Many consumers want to know whether their food or any ingredients in their food is derived from genetically engineered sources, but U.S. law does not require food containing ingredients derived from these salmon to be labeled as. FDA recognizes that many consumers are interested in this information, and some food manufacturers will want to make the distinction. 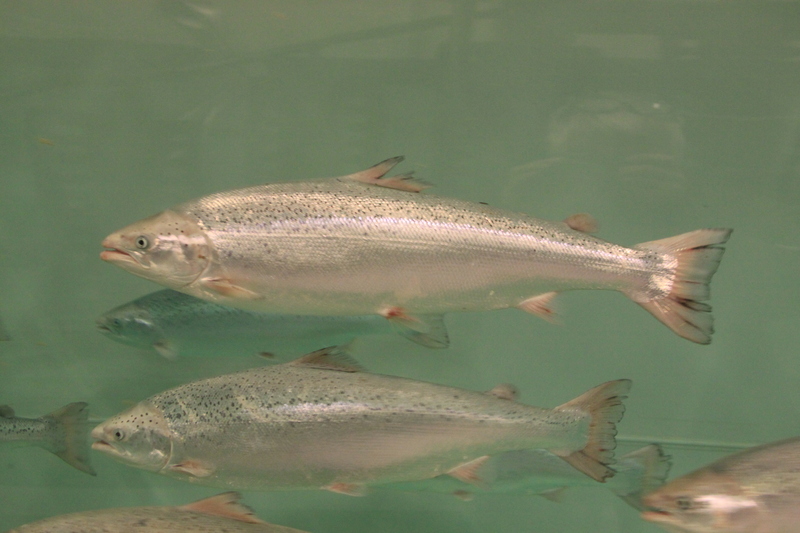 FDA is releasing two guidance documents detailing the agency’s current thinking on labeling—a draft guidance for labeling of food derived from Atlantic salmon that has or has not been genetically engineered and a final guidance for labeling of food that has or has not been derived from GE plants. This as a help to those manufacturers who wish to voluntarily make the distinction on the labeling of their food products. Next Post:Fish farming licenses – purchased property or fiduciary rights ? ?